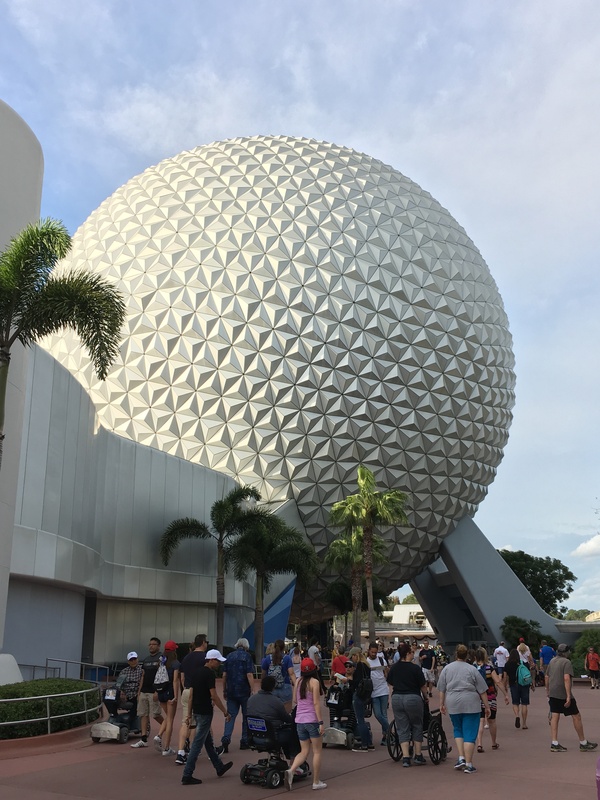 By now you’ve probably heard that Epcot is the next Disney park to get “fixed,” and by fixed I mean have tons of money thrown at it. Insiders are saying more will be spent on Epcot than was on fixing Disney California Adventure (which was no small undertaking.) So, what can we expect from this “major transformation,” as Disney Parks Chairman Bob Chapek called it back in November? No one is entirely sure yet. And I don’t just mean bloggers and insiders. Even management, Imagineers, and the powers that be don’t know yet for sure. We know that Chapek told his team to “dream big” when thinking of ideas. 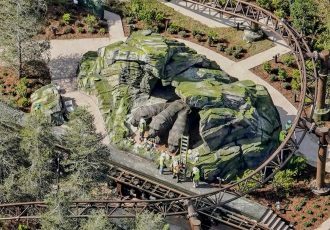 We know he’s promised the changes will make the park “more Disney, timeless, relevant, family-friendly” while also keeping the original vision alive. 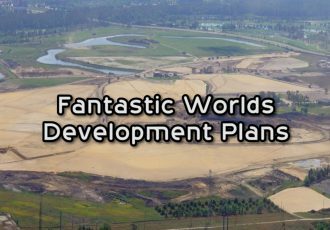 Rumors have the budget for this park-wide update to be $300-400 million (of the $3.5 billion for updates across Walt Disney World,) with a large part going towards Future World in particular. A few things most people are expecting include a brand new edition of “IllumiNations,” that may (or may not) include drones similar to the show at Disney Springs, a replacement for the Universe of Energy pavilion (although not the one you may have heard about,) something new for the Imagination pavilion, and of course, something, literally anything, for the practically empty Innoventions buildings. But there’s more that needs to be done, including some things that might not even be on anyone’s radar when discussing Epcot’s many issues. So let’s dig in and take a walk around the park to discuss what rumors are out there for this “major transformation” of our beloved Experimental Prototype Community of Tomorrow. Some of these stones weigh more than 50,000 pounds, making moving them not too easy a task. It may be easier for Disney to wait until the contracts for all of the Legacies are over and remove them all at once, rather than re-locate them now. 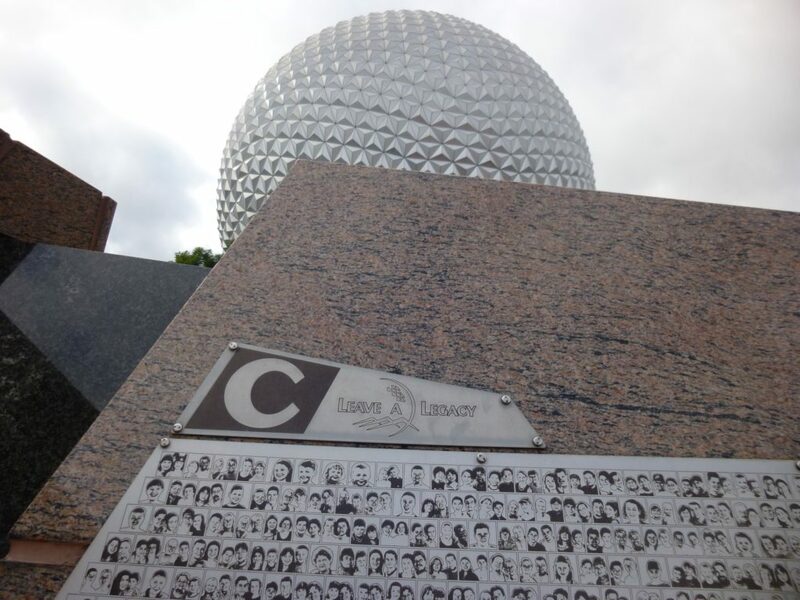 Unfortunately, with the sales of Legacies not as strong as they had hoped for during the Millennium Celebration, Disney actually continued to sell them for another seven years! And each of these face plaques are guaranteed to be visible for at least twenty years. If they’d only sold them for a year that would mean time would be up in just a few years from now, but because they sold them until 2007, we’ll have to wait until June 16, 2027 until they can all be removed. No big deal, just another decade to go! In any case, rumors are that Disney has a plan worked out for this plaza, not only for the new space made by removing the megaliths, but also for a new and improved fountain in front of Spaceship Earth. Just a guess, but I’m gonna go out on a limb and say more character photo ops in front of Spaceship Earth are in the plans. Something akin to the courtyard you see as soon as you enter Main Street, USA at the Magic Kingdom, which is always filled with characters and queues for your photo in front of Cinderella’s Castle. And something like that would be fine by me. No offense to the many folks that paid for their face, or the memory of a loved one’s face, on the stones in this courtyard, but it starts your day off a somewhat dreary note and this area could use a little livening up! 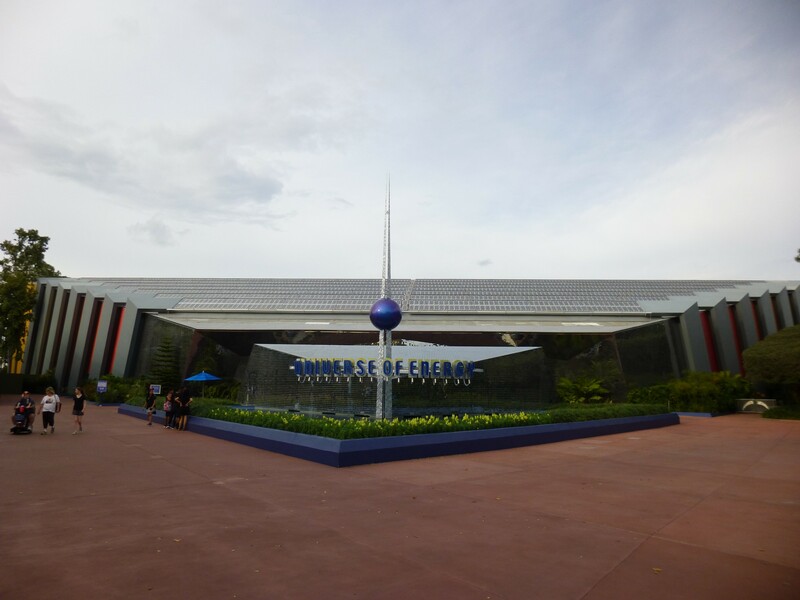 The center of Future World, or CommuniCore as it was originally called, may be in the most dire need of an update of everything in Epcot. Wiring and plumbing need to be replaced in some of the buildings, in some cases having not been updated since the park opened in 1982. All of the central hub buildings did get a new coat of paint on their exteriors a couple years ago, although I’m not sure it could be called an improvement. It looks to me like a series of paint color swatches, like when you’re at the hardware store trying to pick out a color from all the options. Or maybe they just couldn’t decide on a specific color scheme so went with all of them. Either way, somehow re-painting the area made the buildings look even more retro, like they’re perpetually trapped in the early eighties. 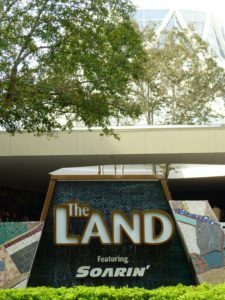 Imagineers have tried to steer away from the Future World term, and even had a plan to change the name of the area to Discoveryland in the late 1990s. That way they would never have to worry about keeping it looking, well, futuristic. Now, twenty years later, they may finally have their chance to put that plan into motion. The plan back then, code name Project Gemini, would have much of the concrete tore up and replaced with trees. Hundreds of trees. Gone would be all neon lighting. And the old CommuniCore buildings themselves were going to be disconnected from one another, creating six smaller buildings, with lots of room for those trees and flowers and plants and winding pathways to flow between them. Whether or not there’s even money, let alone interest still in the old Gemini plans remains to be seen, but something needs to be done to this area, before character meet and greets completely take it all over for good. 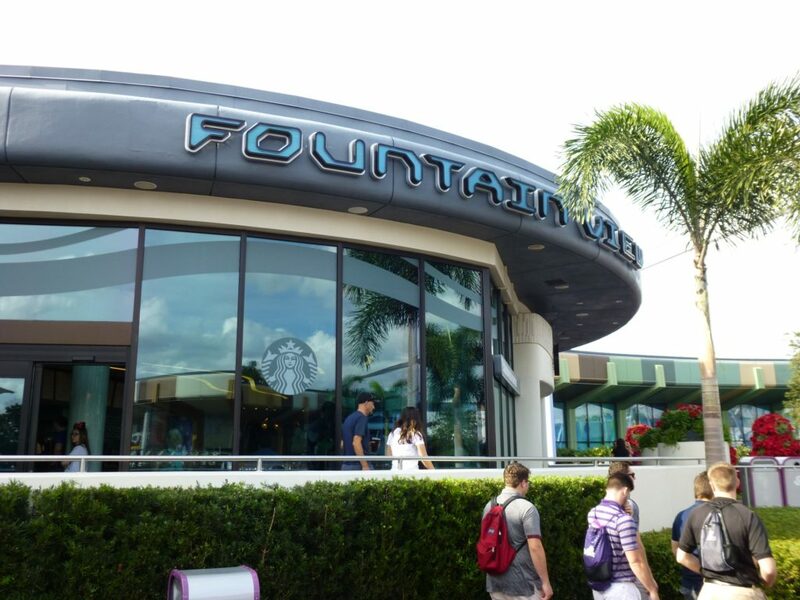 Putting aside Innoventions for a moment (what’s left of it,) some of the things you’ll find in the central hub courtyard are the Pin Trading Station, Fountain of Nations, a gift shop, a terrible restaurant, a Starbucks, and free sodas from around the world. And oh yea, character meet and greets. The Fountain of Nations is probably the only thing in the hub that is completely safe. It’s a staple of Epcot and its dancing water displays every 15 minutes continue to delight guests to this day. Pin Central on the other hand, located directly behind Spaceship Earth bothers me. I don’t mind a pin trading station, but I’m tired of the art-deco style awnings that surround it. They’ve been there since the Millennium Celebration days and offer no shade. An aesthetic update to the stand would be nice. 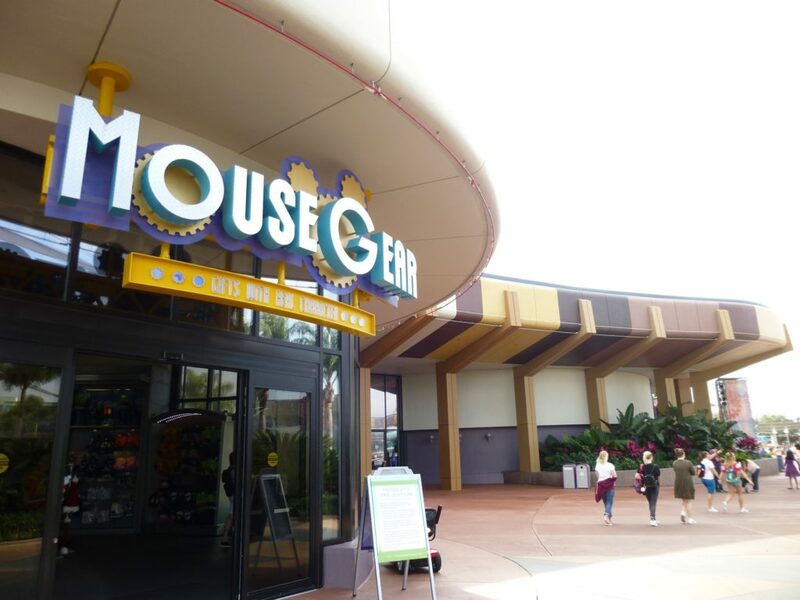 Mouse Gear, the main gift shop at Epcot, is one of the biggest gift shops on Disney property. It’s so large there are directory maps around every corner. Rumors are this store is going to be entirely replaced with a new gift shop. No indication if the new store will be any smaller, but one would hope it will be somewhat more organized. It’s safe to say a new D-Tech customization station is in the plans as well for this location (where you can design your own custom MagicBands, phone cases and other technology accessories.) With one in Tomorrowland at Magic Kingdom, Launch Bay at Hollywood Studios, and one rumored for Pandora: World of Avatar in Animal Kingdom this should be a no-brainer. I’m happy to see more D-Tech options showing up besides the original at Disney Springs. 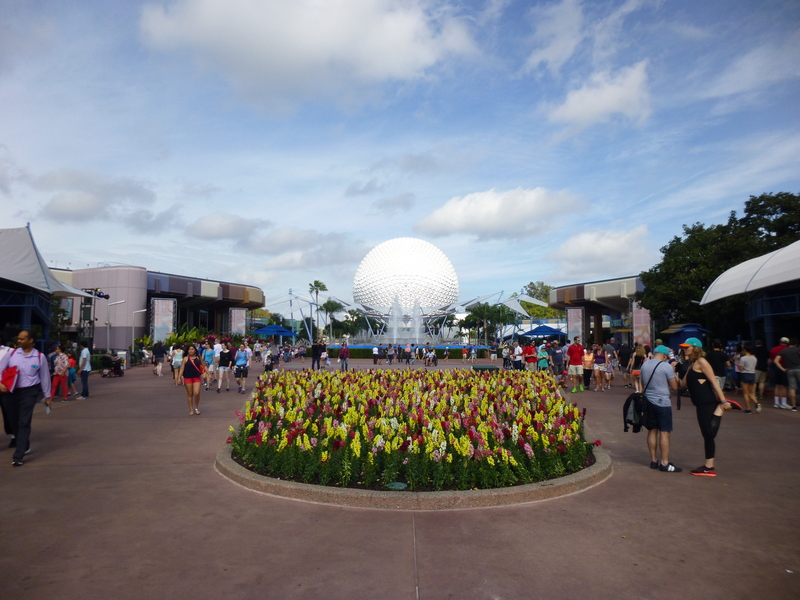 It seems to me that the plan is to eventually bring them to every park, and this is a prime location for it at Epcot. 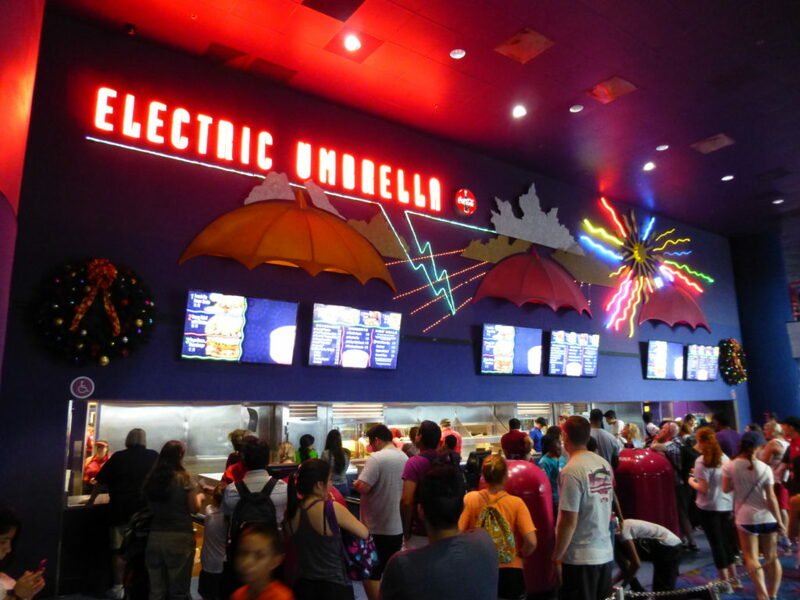 Rumors are that the Electric Umbrella quick service restaurant, which hasn’t changed much aesthetically in two decades, will be downsized and given a completely new menu. While the food here may not be the best, I have to at least give them credit for attempting to offer some more healthy options in recent years. Given that Epcot has some of the greatest food in any theme park in the world, it’s just hard to ever justify eating here. 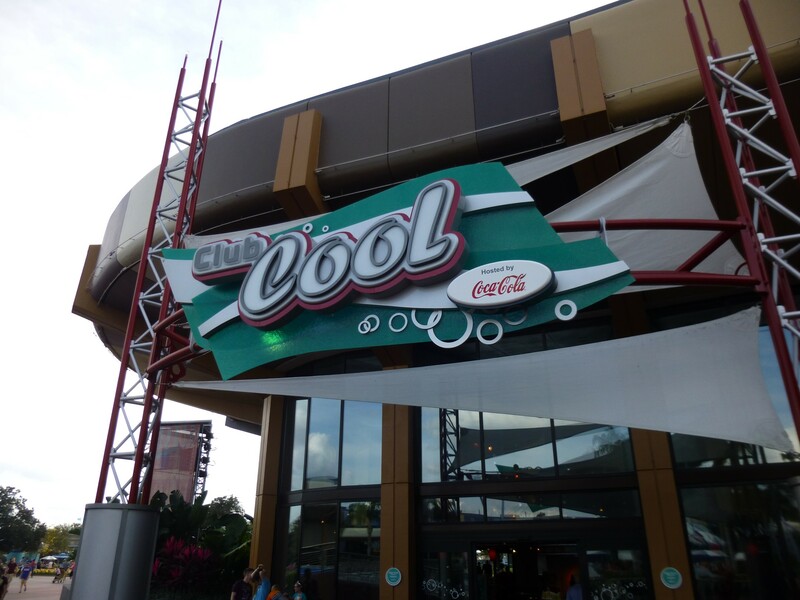 Club Cool hosted by Coca-Cola has been here since 1998, (although back them was called Ice Station Cool and actually had snow to play in at the entrance.) It’s a great place to come in and drink lots of free (and sometimes awful tasting) sodas from around the world. The sodas change from time to time, although Beverly from Italy always remains. Always first on the left. As if to beckon you to try it first and be disgusted, so that all sodas you try after taste amazing. Oddly, Beverly was discontinued in Italy in 2009, yet still appears here for tourists at Epcot to “enjoy” and try. But I digress. No word yet as to whether this Coca-Cola store disguised as an attraction stays, goes, or changes, but I truly hope no one takes away my free soda. So little in this world (Disney World that is) is free. Innoventions opened in 1994 inside sections of both the East and West CommuniCore buildings. It was meant to be a place where innovative companies could showcase their up and coming ideas and products in a sort of World’s Fair type atmosphere. The areas were meant to always be changing, always showing the cutting edge. Instead, we ended up getting sponsored displays that felt, well, like commercials. Some were better than others. Seeing what could be in our Home of the Future was much more exciting than learning how much we can save off our energy bill each month. The new expo halls would only be as good as the companies that agreed to sponsor an exhibit. 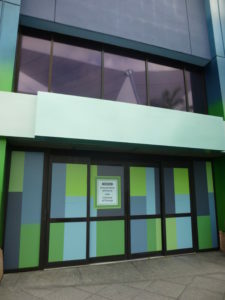 With Sum of All Thrills closed, only two last exhibits remain in Innoventions East. 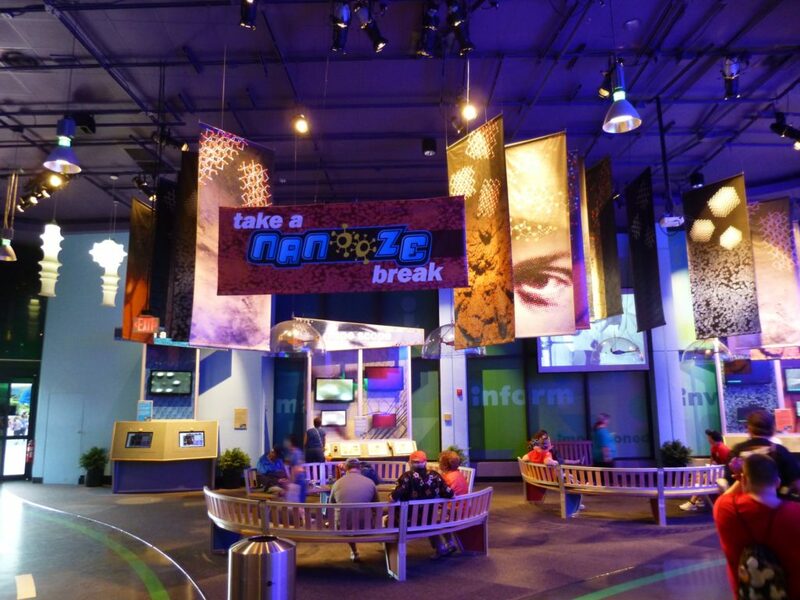 Take a Nanooze Break allows guests to look through electronic (and simulated) microscopes at every day things to see how they look, well, zoomed in. 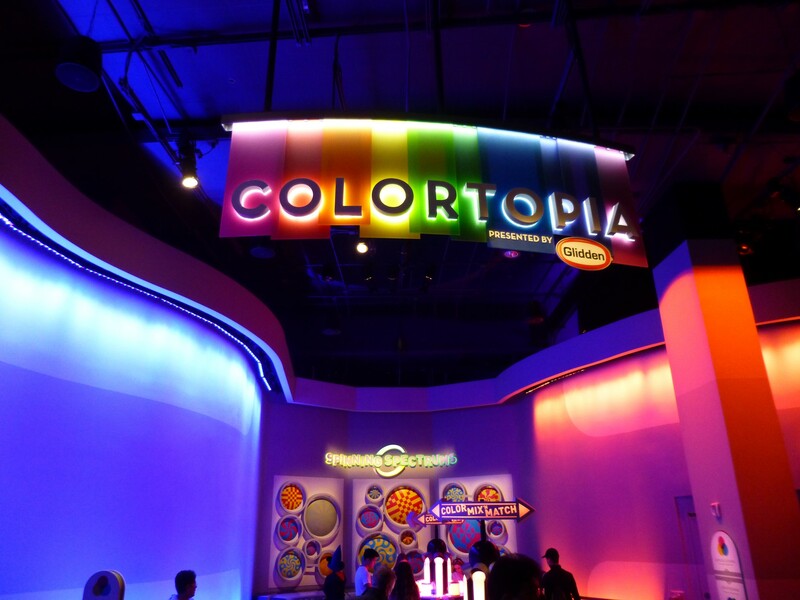 And Colortopia presented by Glidden, um, makes you wanna buy paint and paint your house. 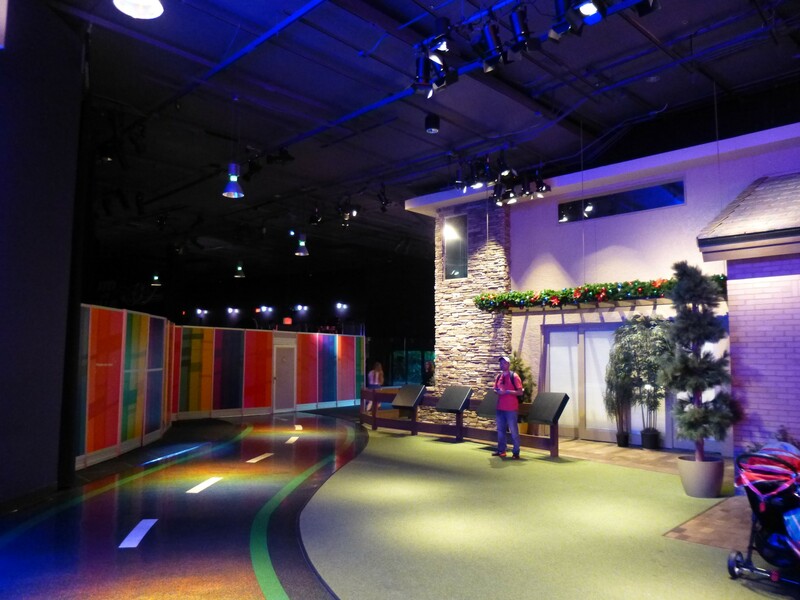 It has a cool room where kids can use a magic paintbrush to color in pictures on big screens, but those fun two-minutes barely justify this exhibit’s existence here in the first place. 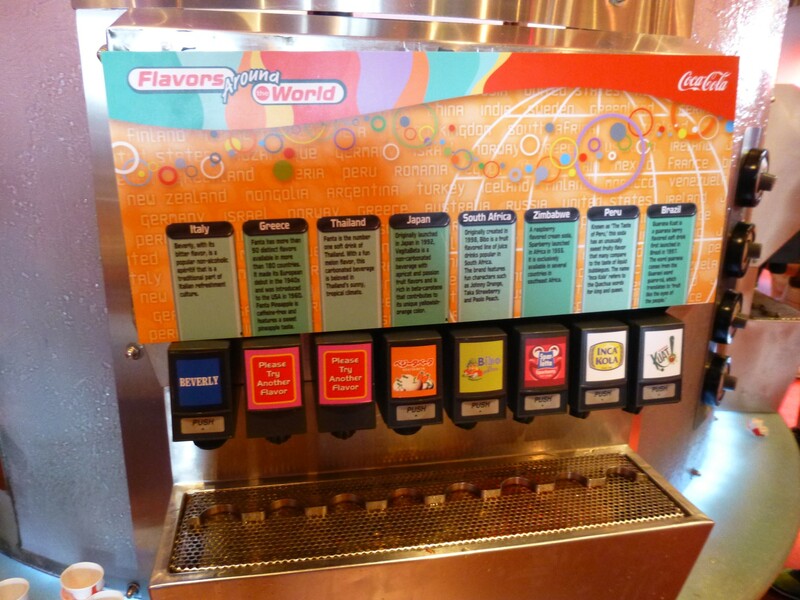 That’s what you’ll find in Innoventions East. 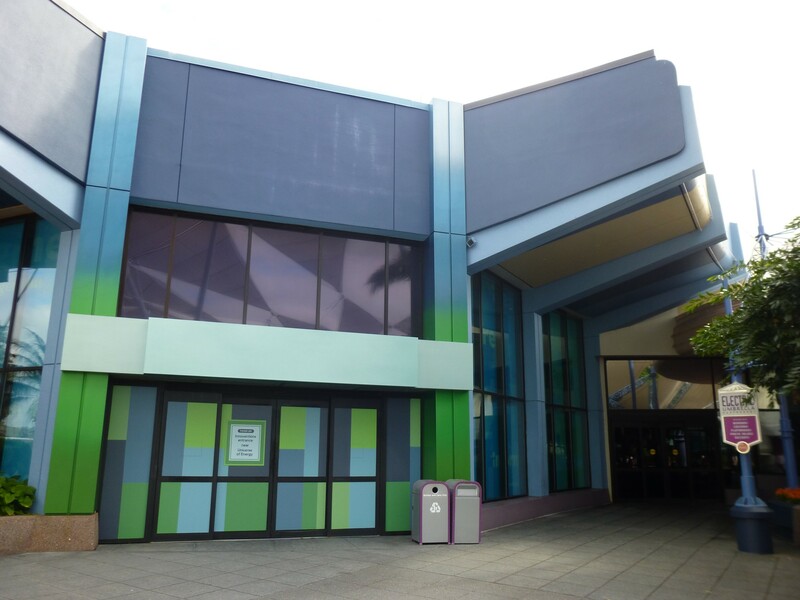 There’s absolutely nothing left in Innoventions West. 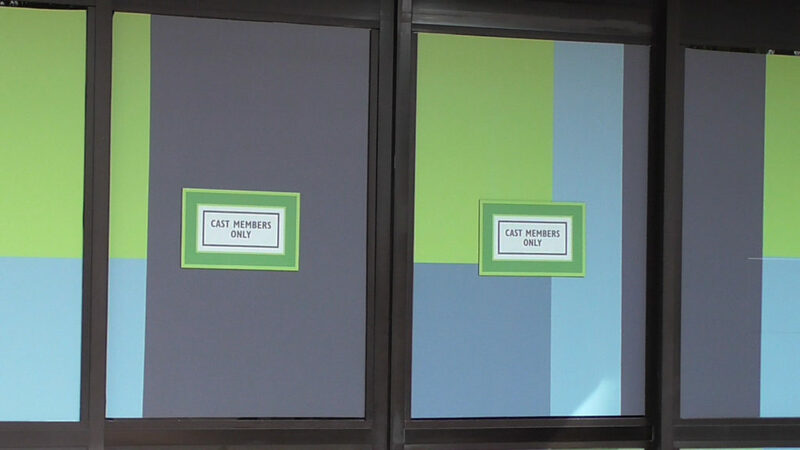 In fact the signage has been removed from the entrances and signs that read “Cast Members Only” are on the doors. The centerpieces to the front-half of this massive theme park include more locked doors than open ones and it’s a little disheartening that these are the first things you see after rounding the bend behind Spaceship Earth. The only attractions that remain on the east side of Innoventions Plaza are character meet and greets. What used to be a large restaurant through the 1980s and 1990s was closed down and converted to a large character meet and greet area, named Epcot Character Spot. Now this space was vacant for nearly five years so I can’t blame Disney for finally putting it to use. And if I were a character actor I would much rather work inside with air conditioning than outside in the killer heat. But this apparently wasn’t enough. Sure, you could meet Mickey, Minnie, and others at the Epcot Character Spot… But what about new characters? Well we have a whole empty building with no Innoventions left in it, lets put them there. Now you’ll find Baymax from Big Hero 6, and Joy with Sadness from Inside Out, in the old Innovations West building. So there you have it. 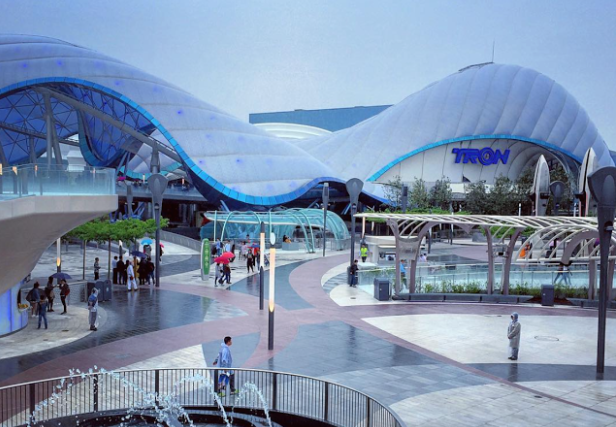 The entirety of the center of Future World is made up of restaurants, gift shops, and character meet & greets. Which wouldn’t be so bad if it had the charm and detail of somewhere like Main Street, USA. But this is a sterile concrete wasteland, filled with awfully re-painted, crumbling buildings, stupid poles and awnings leftover from the Millennium Celebration in 1999, and locked doors with empty spaces. Disney would be smart to fill this space with something. Anything. 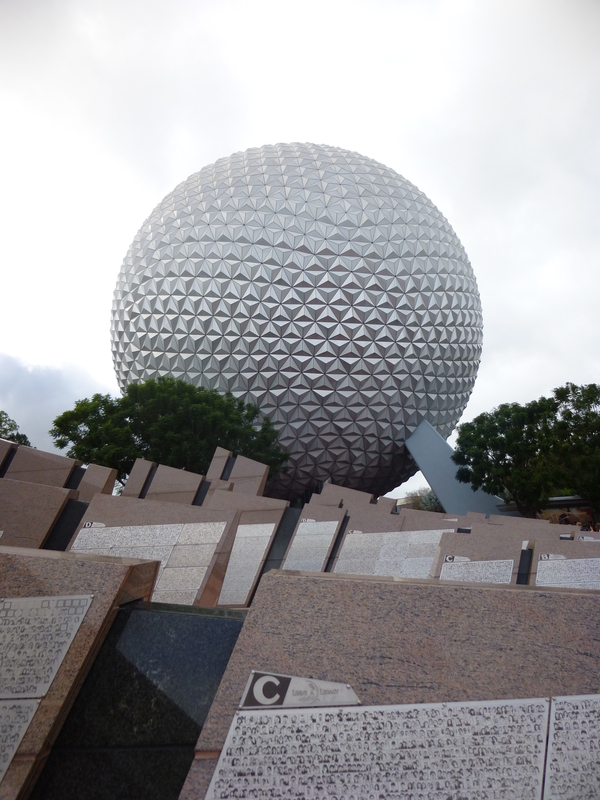 Ideally, they could put new attractions that actually reflect what EPCOT originally stood for. Or, as Chapek said, bring in something more “family-friendly” to this area. Even better, combine the two. Maybe give Mickey Mouse a family dark ride (with his meet & greets at the exit.) 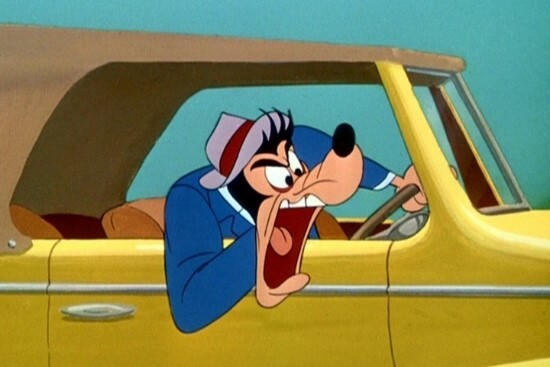 Have Mickey (or better yet, Goofy) take us on a silly trip through the history of transportation (ala the original World of Motion but in a fun Disney character style) or a ride that looks back through all of the failed visions of the future (ala the first part of Horizons.) At very least, clean up the area and offer us something more attractive to look at than muted paint swatches and triangle awnings. 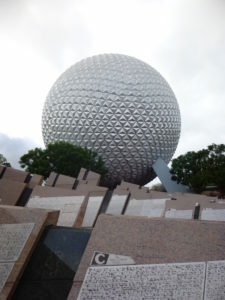 Oh, and bring back the reflecting pools behind Spaceship Earth while you’re at it! Okay, that’s enough daydreaming. Some folks have suggested using some of the Innoventions space for exhibit halls after tearing down the old Wonders of Life Pavilion to build a new ride. That old pavilion is used a few times a year for festivals, and if a new ride were to show up there they would need somewhere for cooking demos and free chocolate samples during the Food & Wine Festival. I suppose Innoventions plaza could be good for that, but that still means a centrally located large swath of theme park real estate would remain empty the majority of the year, and that’s not the best way to fix the problem of a broken park. Speaking of Wonders of Life Pavilion, moving on next to Future World East. The Energy pavilion closed and then reopened in September of 1996 with a new show and new name, Ellen’s Energy Crisis. It was then immediately renamed to Ellen’s Energy Adventure, for reasons unknown. The new version was certainly more upbeat than the original, perhaps a little less boring. But it is a strange thing to have a 45 minute ride in a theme park nowadays, when you’re used to 3-5 minute rides. Other than a terrible looking Ellen DeGeneres animatronic added to the dinosaur scene, the new version was a success (as much as it could be called a success) and still runs to this day. Although the animatronic Ellen has since been removed. Thing is, ExxonMobil stopped sponsoring this attraction back in 2004, after 22 years of sending money to Disney. The attraction is completely run by Disney now, and it seems to me that they haven’t been too sure what to do with it yet, so it continues to run as is. Stuck perpetually in 1996. The preshow takes place in Ellen’s sitcom apartment set. Remember when Ellen had a sitcom? Just take a ride on Ellen’s Energy Adventure. It’s like riding in a time machine. Universe of Energy is going to be completely demolished. This as much as we can know for certain. It had a good run. I know I will miss the dinosaurs, but it’s not worth 45 minutes of my day for 3 minutes of dinosaurs anymore. 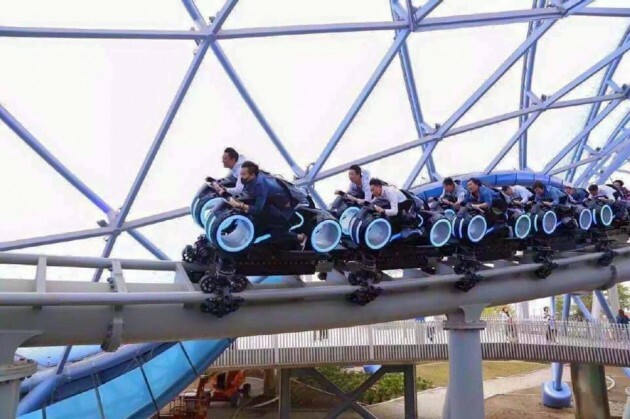 I know rumors were abound recently for a Guardians of the Galaxy roller coaster going in its place, but I’ve more recently been hearing that the Tron Lightcycle coaster from Shanghai Disneyland may end up being the winner. UPDATE: Tron Coaster Coming to Magic Kingdom and Guardians of the Galaxy attraction replacing Universe of Energy. Learn More. We may have seen height balloons over this building last summer, but in no way does that prove that Guardians of the Galaxy is coming, only that Universe of Energy is going. I know there have been rumblings for a Guardians coaster, but I have a feeling Disney has something else in store for them (see below.) The Tron Coaster is already designed and proven (and awesomely futuristic looking I might add,) so I think it might win out. Disney can save money and time by using something that’s already ready already. We’ll have to wait and see. 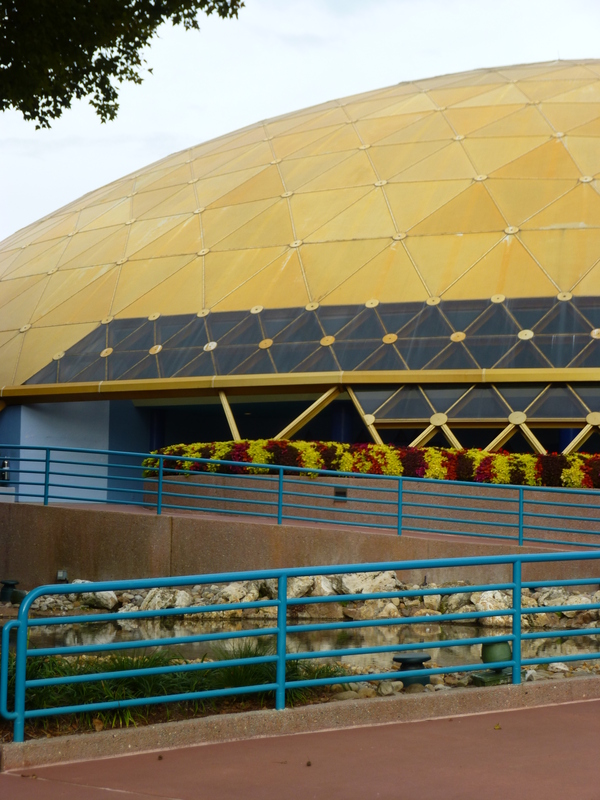 Next door to the Energy pavilion is the old Wonders of Life pavilion. 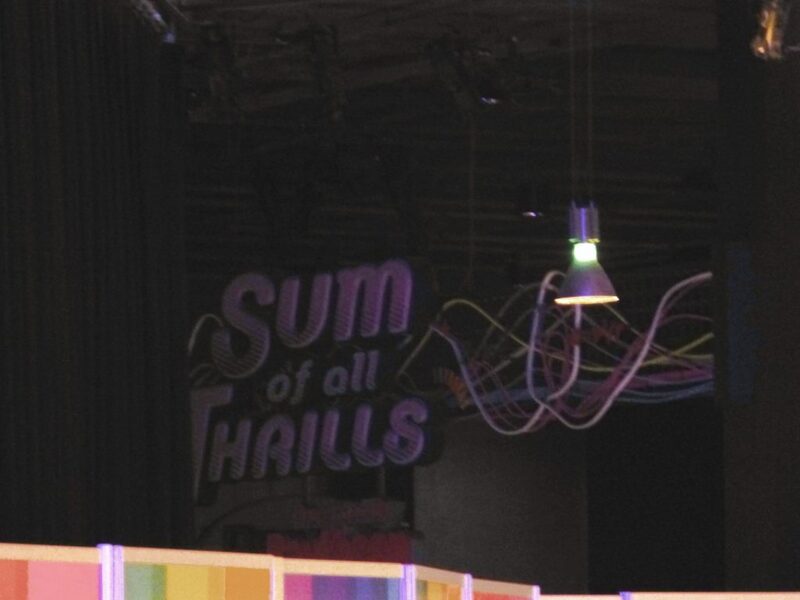 As I briefly mentioned early, this now defunct pavilion is only used a couple times a year as festival space, but once housed several attractions, including a show named Cranium Command (which was like Herman’s Head meets Inside Out) and the ride Body Wars. Body Wars was a simulator ride similar to (exactly the same as) Star Tours, but was an adventure through the human body rather than through space. The film was actually directed by Leonard Nimoy, believe it or not, and starred Tim Matheson and Elisabeth Shue. This pavilion was sponsored by MetLife and it opened in 1989, making it the last of the Future World pavilions to come onto the scene. MetLife ended its sponsorship in 2001, (seeing a pattern yet,) which led to a decline in the pavilion’s upkeep, and eventually its popularity. Without money Disney eventually changed the operating status of these attractions to seasonal, only opening them on the busiest days. Eventually, on January 1, 2007 it closed for good, with no official reason given. The space is now used at least twice a year for cooking demos, gift shops, and other exhibits during the popular Food & Wine and Flower & Garden Festivals. During the first year it was used as festival space you could still see the Body Wars signage above the temporary work walls they quickly threw up before the event. Finally by 2009 the interior was renovated and repainted with all the attraction signs replaced with “Festival Center” signage. For years rumors circulated that much of the original Body Wars ride systems were still in place and could maybe still be operated, but as of 2014 its been confirmed that the simulators have since been dismantled permanently. I do not believe they will demolish the old Wonders of Life pavilion and build something new there. At least not with this iteration of changes to the park. Instead, it’s my understanding that it will remain the “Festival Center” for Food & Wine and continue to be rented out for private corporate functions. 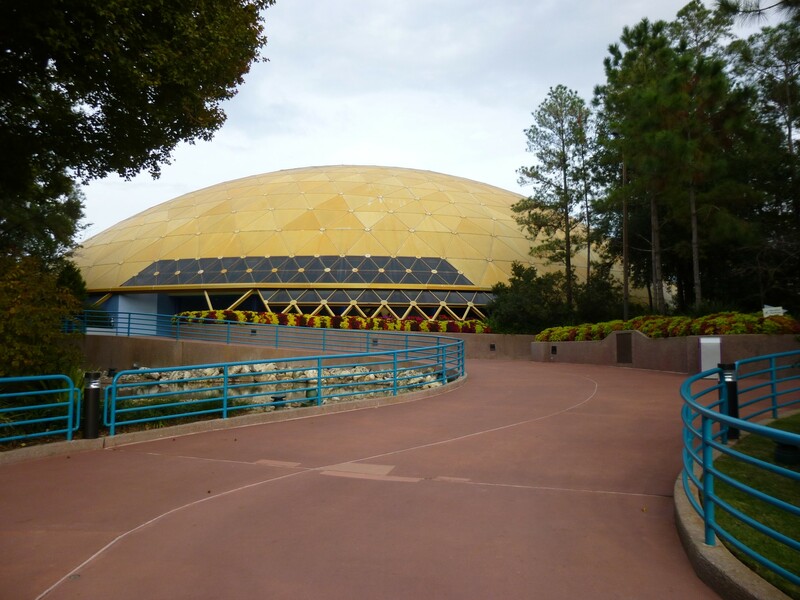 I do believe though, that the newly constructed Tron coaster’s outside portion may in fact reach in this direction, flying close by, if not over the top of the old pavilion’s dome-shaped roof. It’s more likely that the coaster will run in this direction than the other side, where it would need to cross the monorail line and be close enough to Spaceship Earth that it ruins sight lines for the park (which Imagineers can’t stand.) So, you heard it here, this pavilion stays and remains (mostly) closed. Mission: Space opened in 2003 and is a centrifugal motion simulator, in other words it spins round real fast until people get sick. (Luckily there are air sickness bags on board, no kidding.) Die-hard Disney fans know this ride replaced Horizons, which closed permanently in 1999 (after years of sporadic operation.) 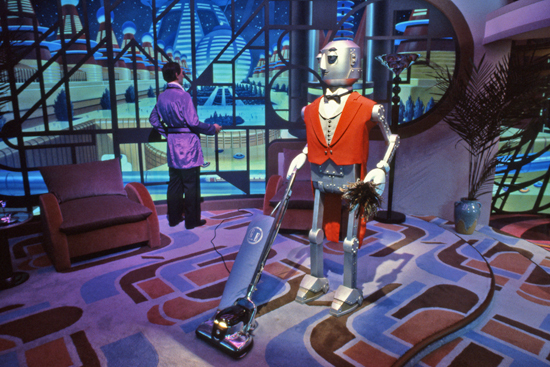 Horizons originally closed in 1994, shortly after General Electric had ended its sponsorship, but was reopened while other attractions were down for refurbishment. Rumor is the building itself had serious structural issues and that played a part in the total deconstruction rather than simply retheming the building’s interior. 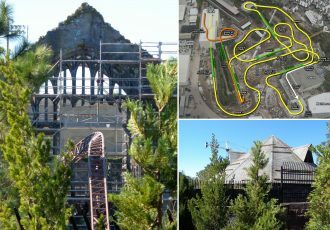 Given the film-driven nature of the ride, it was always intended to be able to be updated simply by replacing the movie and updating the ride profile. This was done recently for Star Tours: The Adventure Continues, and keeps a ride fresh without a large investment (in both money and time.) 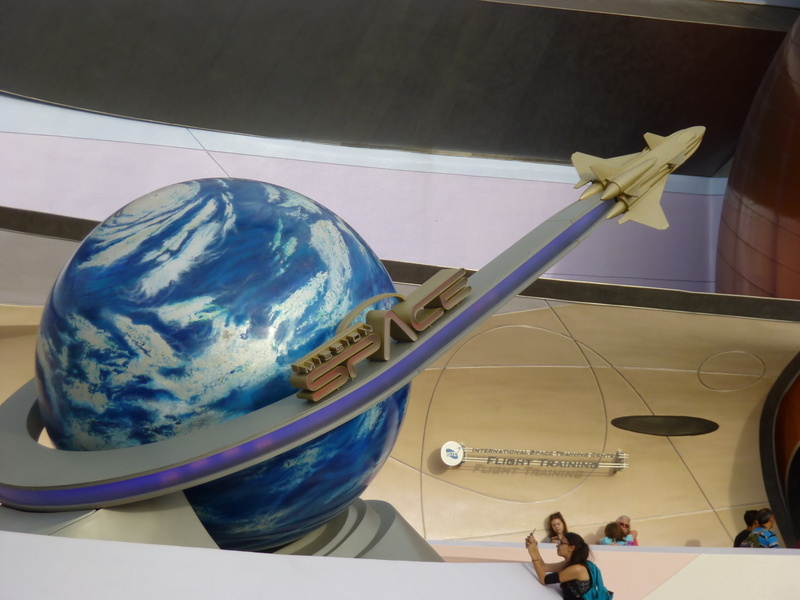 Mission: Space ended up being considered by guests to be a bit more intense then Disney was originally counting on, leading them to offer a less-intense, non-spinning simulator version after a couple years of operation. (According to Wikipedia: Several people have been taken to local hospitals for chest pain and nausea after riding. Most who complained of these symptoms were over 55 years old. Two people have died after completing the ride, although due to pre-existing conditions.) But that is not going to stop Disney from getting the most from their $100 million investment, so you better believe this ride ain’t going nowhere anytime soon. 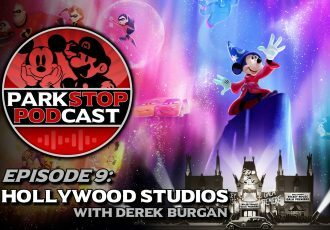 The best part about retheming an attraction by simply changing out a movie, (and probably making some small cosmetic changes to the outdoor signage and queue decor,) is that if the theme park down the street threatens to sue you, you can just switch it back overnight. That’s right, don’t think I’ve forgotten about the fact that Universal holds the theme park rights to Marvel characters for all parks east of the Mississippi. (Although, it seems that everyone else has.) 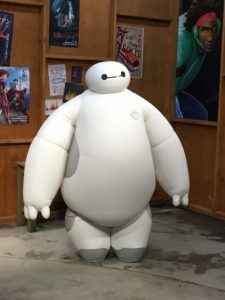 This is a sticky matter that is better left to the companies’ lawyers to dissect, but if Disney attempts to put any Marvel characters into the Orlando parks, this probably their best bet. If they’re ever legally forced to roll it back, it’ll actually be an easily feasible option. 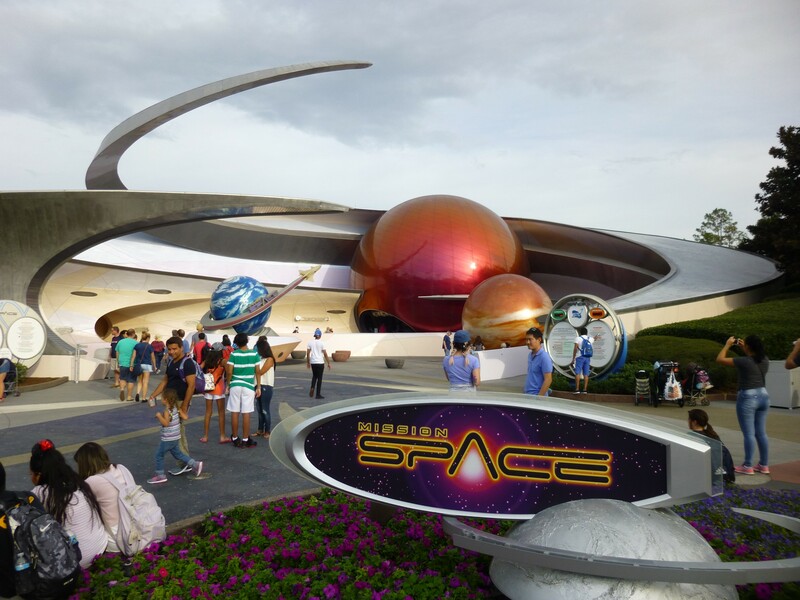 UPDATE: Mission: SPACE to get new ride films, including a special mission for Green side, and a new Space Themed Restaurant. Learn More. I think having Tron and Guardians of the Galaxy in Future World East would be great additions. It certainly would spice things up a bit, and with Test Track included, would cement this quadrant of the park as the thrill ride zone, much like Sunset Boulevard at Hollywood Studios has become with Tower of Terror and Rockin’ Roller Coaster at the end of the street. 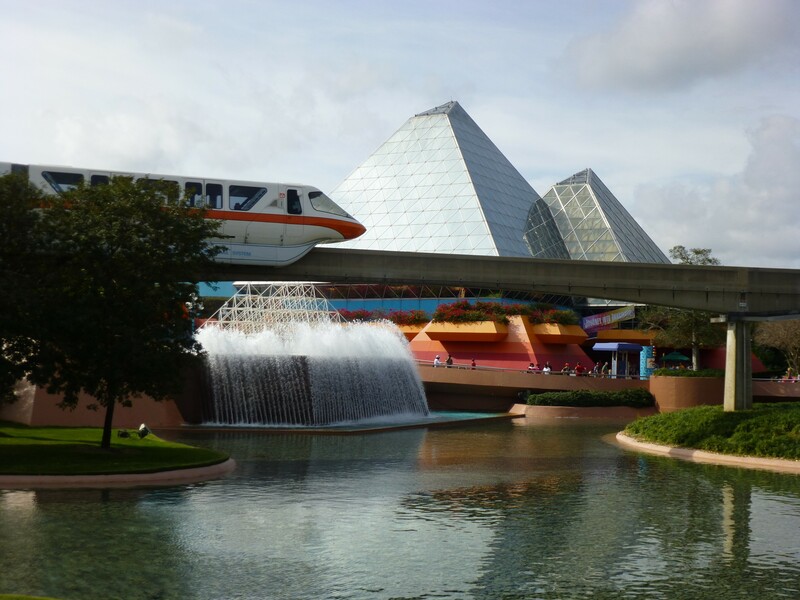 Not only that, but these are properties that can remain timeless, each with their own aesthetic theming will bring something unique to the skyline of Epcot, really transforming it forever in a radical, but needed, way. This will no longer be Future World, but instead, a world of Discovery and Adventure. Next door to Mission: Space, the last stop in Future World East, is Test Track. 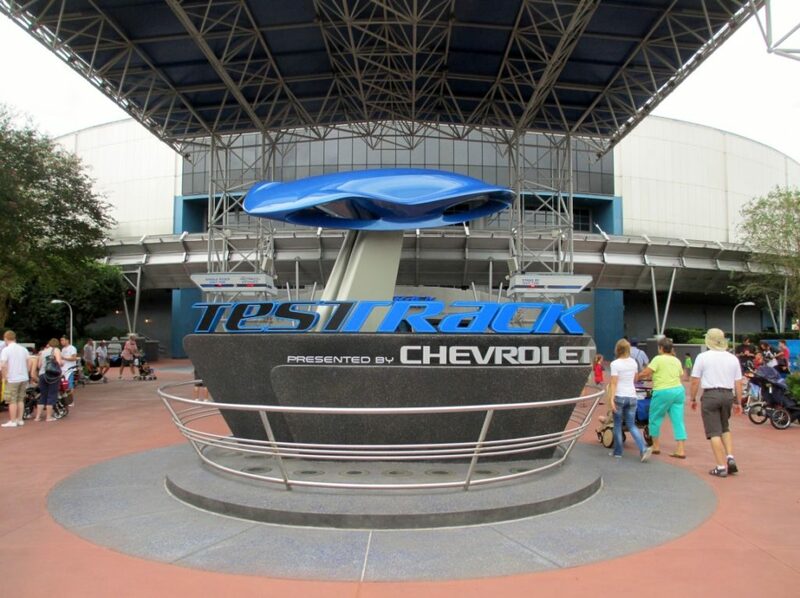 Test Track will not be getting any upgrades along with this update. It has come a long way since its days as World of Motion. Through it all though, General Motors has stuck with the pavilion as its sponsor, (although now focusing more on the Chevrolet brand specifically.) The ride was transformed from the slow moving dark ride World of Motion to the more exciting Test Track incarnation in 1999 (after a somewhat lengthy refurb time of three years.) Then, in 2012 it was revitalized once again as what some call Test Track 2.0 (or Tron Track if we’re being completely honest.) The update was a success and Test Track remains of the busiest rides at Epcot (along with the new Frozen Ever After and Soarin,) so there’s no need for another update just yet. An effort has already been made on the other side of Future World to keep the pavilions up-to-date. After the sponsorship deal with United Technologies ended for The Living Seas, Disney chose to keep up the attraction, rather than evicting the 8,500 aquatic inhabitants of its large aquariums. Luckily Disney struck gold with Pixar’s Finding Nemo in 2003 and decided to retheme the entire pavilion to “The Seas with Nemo & Friends” with much success. 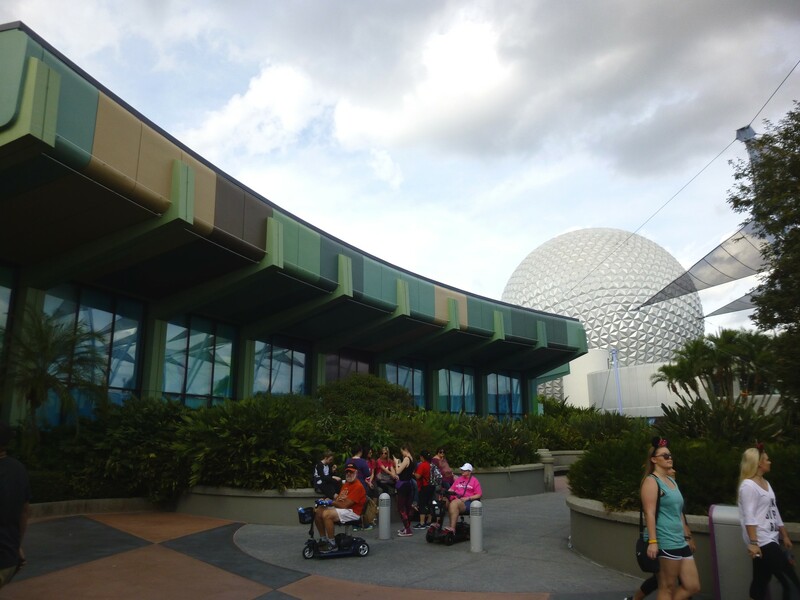 The newly refreshed ride, as well as the added Turtle Talk with Crush attraction, helped to keep the pavilion fresh, and would be an indicator of things to come for Epcot. The Land pavilion has undergone many renovations and improvements throughout the last two decades and is probably in the best shape of all the Future World pavilions, (although I wouldn’t be surprised if the Circle of Life: An Environmental Fable show is replaced one day soon.) With Soarin’s addition of a third theater, as well as the new ‘Around the World’ film, it remains a flagship attraction for the park. The greenhouse boat ride, Living with the Land, still operates today, now sponsored by Chiquita banana company. The Garden Grill table service, and Sunshine Seasons counter service restaurants are popular and well-received by guests. And even the Behind the Seeds Tour, a tour of the hydroponics lab and greenhouse for an additional fee is popular and in high regard. So, no need for much change here. During the renovation to bring the Honey I shrunk the Audience film in the theater was retrofitted with a floor moving platform, to simulate the feeling of being carried and the bass rattle of giant footsteps once you’ve been shrunk for the show. For subsequent shows in the theater the motion platform feature has been incorporated as well, sometimes terribly. 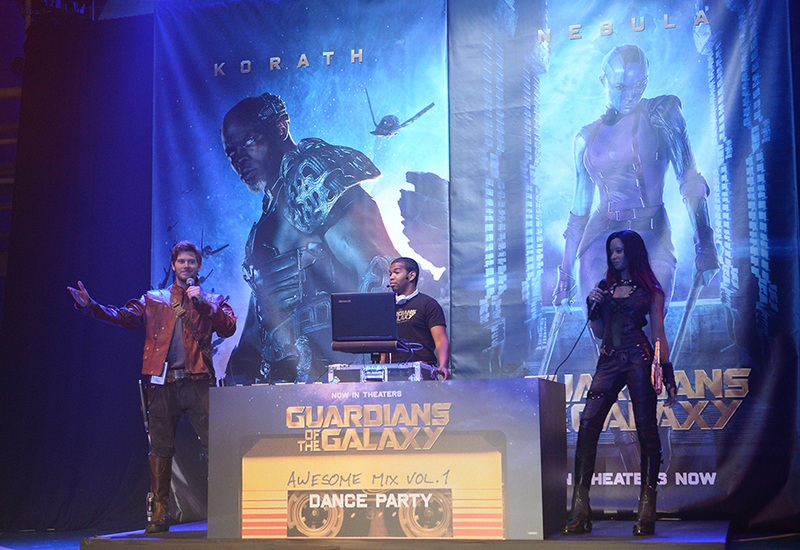 It would make the audience bounce and sway with the dancers in Captain EO for example. Not the best use of a technology, but I guess better than leaving the theater empty. The biggest rumor for what to bring to this pavilion over the past year or two has been something based on the Disney Pixar film Inside Out. I agree that it’s a great property for this location, and clearly Epcot agrees since you can already meet Joy and Sadness nearby in the old Innoventions West building. But I am desperately pleading with the theme park gods that they only use Inside Out to replace the 3D film with something new based on the hilarious little emotions inside the head of a pre-teen girl, and NOT the neighboring dark ride. But please please please, do not take away Figment! Disney already tried that once and it did not go well. The first major update to the Journey Into Imagination ride in 1999 was called Journey Into *Your* Imagination and it was complete failure. There were so many complaints that it was updated again just two years later. The top two complaints were that one: the ride starts by telling guests they have “not much going on upstairs,” referring to their brains. Seriously, the first thing in the ride was a brain scan that tells you you have no imagination. Not the best way to start a ride. And the second complaint? No more Figment. Dreamfinder was gone too, replaced now by Dr. Nigel Channing (played by Eric Idle) of the Imagination Institute (yes the same Imagination Institute that employed Rick Moranis’s character Wayne Szalinski next door at Honey, I Shrunk the Audience.) And everyone’s favorite little child-like dragon was technically still on the ride, but barely. Like just a portrait in one spot and in the shape of a light-up constellation in another. That’s it. The ride also lost all of its magic in addition to its main characters. This iteration focused almost entirely on cheap optical illusions and dry narration. Gone were the more abstract displays of art, science, and discovery of the original ride. Oh… And about a third of the ride path and ride time as well. To save on cost a giant section of the ride track was left out, including the ingenious rotating first scene loop featuring Dreamfinder and his airship. Listening to everyone’s complaints, the new new version of the ride opened in 2001, now featuring Figment! 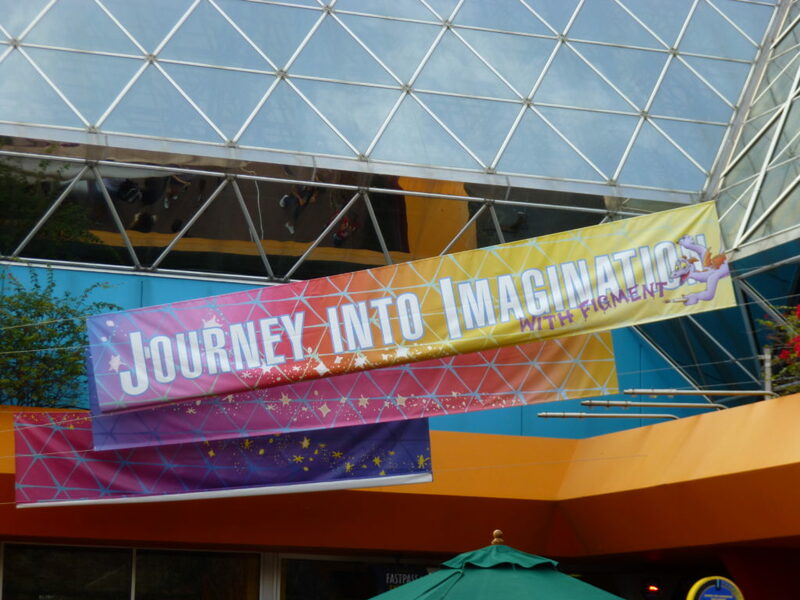 It’s new name of course being, Journey into Imagination *with Figment*… And Figment is now in every scene of the ride. It’s as much his ride as it is Dr. Channing’s. Gone are the dry narration and demeaning brain scans and back is a new rendition of the delightfully cheery song “One Little Spark” from the original attraction (luckily Eric Idle is a heck of a singer, and oh yea, he was willing to re-film all of his segments for the attraction. What a nice guy.) It’s not the best ride we could have for Figment, far from it, but it’s better than it was. 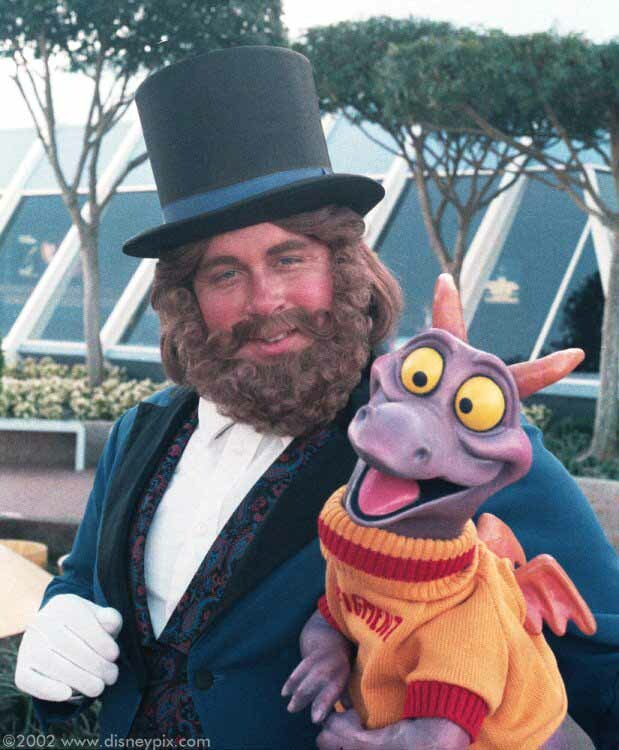 Figment needs Epcot, and Epcot needs Figment, It’s his only home. And the merchandising and promotional team know how beloved he his. The Food & Wine festival and now the new International Festival of the Arts use Figment as their de facto icon on literally every single promotional material and souvenir. 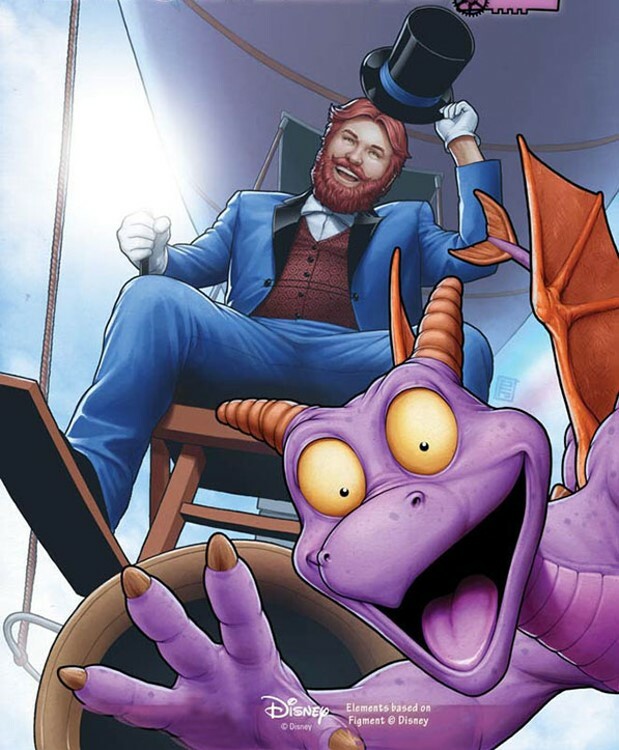 Dreamfinder even found his way into Marvel comics recently, as an updated, more steampunk version of himself. 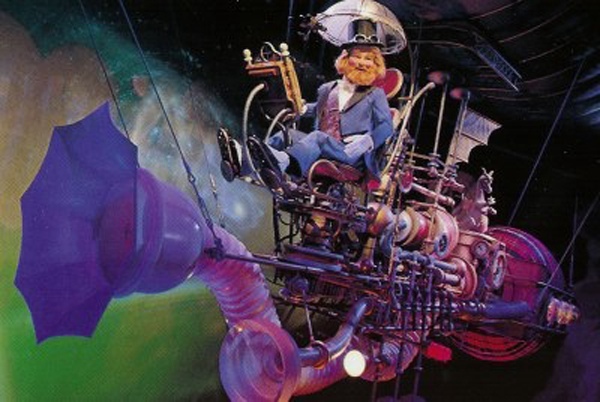 It feels like Disney has been testing the waters for an updated Dreamfinder and the timing might be right to bring him, and his steampunk airship, back home. One way to do that is to induct him into the Society of Explorers and Adventurers, or S.E.A. for short. This fictional club ties together different Disney rides and venues worldwide (and is super nerdy, but stick with me here.) The official name originated in Tokyo DisneySea for the Fortress Explorations walkthrough attraction. When Pleasure Island’s Adventurers Club closed down in 2008 many of its props were spread throughout the various parks and resorts, and storylines were written trying them all together (told you it was nerdy.) Some of the society members are the (fictional) owners of Mystic Manor in Hong Kong, Big Thunder Mountain Railroad in the Magic Kingdom, and even Mary Oceaneer the star of the new water slide opening at Typhoon Lagoon this year called Miss Adventure Falls. All of them are adventurers and collectors of artifacts, and the artifacts they collect are all part of their respective ride’s backstories. By folding Dreamfinder into the Society of Explorers and Adventurers, it would add another branch in the ever-growing tree of collective storytelling Disney loves to do. It would keep Figment in Epcot, where he belongs. And it would allow for at least one attraction to remain original and not be based on an existing I.P. from a Disney or Pixar movie. Like the other members of the “Society,” Dreamfinder is also a collector, but he collects bits of things along his journey and creates ideas from them, the same way our imagination does, and we could use a little bit more imagination in our Imagination pavilion. I think we can all see the wheels already in motion right now in World Showcase. 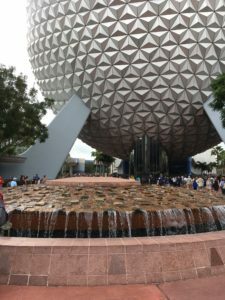 The original idea of a permanent world’s fair for Epcot is long gone and we have to face the facts that it’s just another Disney theme park at this point. That doesn’t mean it has to be bad. The key to a successful Disney park (at least when it comes to attendance) seems to be having recognizable Disney characters in it. This is evidenced by the two parks that originally intended not to have characters, Epcot and California Adventure, unfortunately having to shoehorn them in over the years. With something like Carsland succeeding vehemently, and Gran Fiesta Tour Starring the Three Caballeros only moderately. Shoving Donald Duck and his feathered friends into the slow moving boat tour in 2007 started what only now is beginning to seem obvious, that eventually every country in World Showcase will eventually feature something based on existing Disney characters. Again, this doesn’t have to be a bad thing. Seven years after Donald arrived the Maelstrom ride in Norway next door closed to make way for Frozen Ever After. And despite your feelings on the matter, this not only helped Epcot’s attendance, but it also helped Norway’s pavilion. The Norway Pavilion is actually the most recently added nation in World Showcase, opening in 1988. Initially sponsored by private investors (11 Norwegian companies in total) and then later by their government, until they stopped paying in 2002 that is. From that time until now it’s been entirely up to Disney what to do with the pavilion. In fact they could’ve closed it like Wonders of Life years ago if they felt so inclined. Much like bringing Nemo into The Living Seas, Disney has saved the Norway pavilion by adding Frozen. 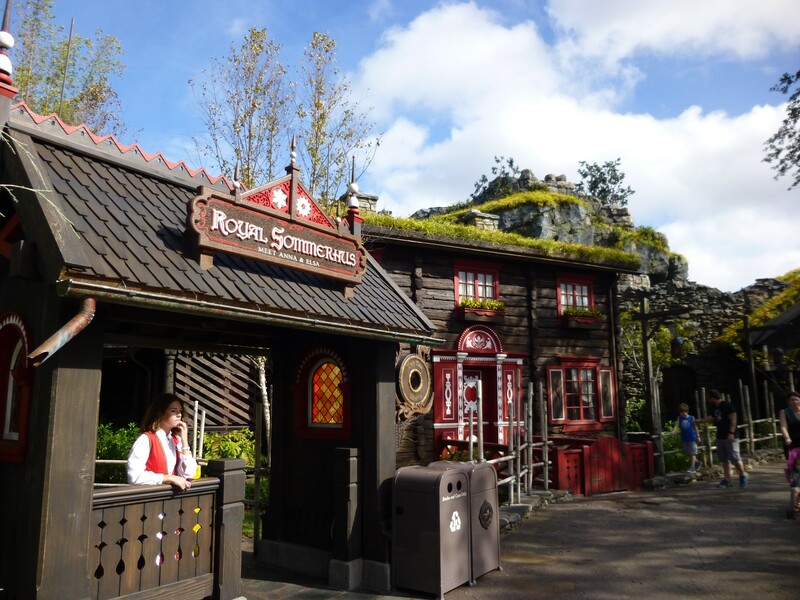 In fact I would argue that the new gallery “Norsk Kultur, Inspiration for Disney’s Frozen,” teaches visitors more about Norway than the strangely muddled storyline of Maelstrom ever did (no offense to one of my all time favorite attractions, may it rest in piece.) The new physical additions to the land are gorgeous and remain true to the spirit of the original area as a Norwegian village. Norway is now busier, bigger, and prettier having added popular Disney characters permanently. Who’d a guessed that would’ve happened? Of course for years you could meet Belle and the Beast in France, Snow White in Germany, Aladdin and Jasmine in Morocco, and Marry Poppins in the UK of World Showcase. Adding in characters isn’t anything new, but integrating new attractions starring them is. 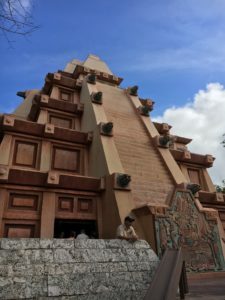 There’s plenty for adults to do around World Showcase: admire the architecture, learn about different cultures (mostly by reading exhibit displays,) watching educational films, and of course the ever popular drinking around the world. But what is there for kids to do? Adding things like Kidcot where kids can color for 10 minutes sitting at a folding table or Phineas and Ferb: Agent P World Showcase Adventure that give kids an old flip phone so they can be distracted in each land is only slapping a band-aid on, without really addressing the larger problem. 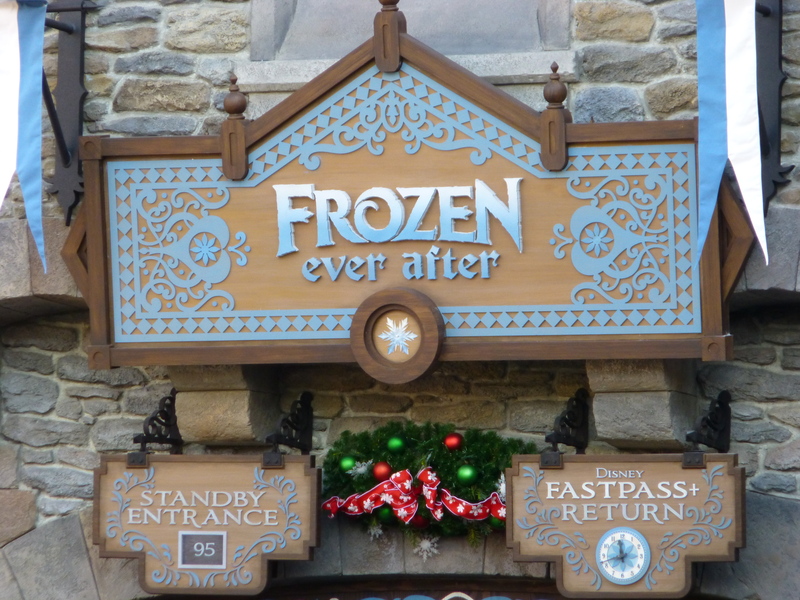 Adding attractions like Frozen Ever After gives children a reason to want to go to Epcot in the first place. It gives families a way to share memories that they didn’t have the opportunity to do before, as a family. (And it gives Disney a way to sell merchandise in ways it didn’t have before. Cha-ching!) I say, if you can’t beat ’em, join ’em. If adding characters to every land in World Showcase means having new rides and attractions added to one of my favorite theme parks, why wouldn’t I be on board? And I already trust Disney will go about this tastefully after seeing how well Norway’s updates have turned out. I will once again reiterate that Bob Chapek said they are planning on bringing in “family-friendly” attractions. If there’s anywhere that’s in dire need of family attractions, it’s the back half of World Showcase. The American Adventure is a great show, but about as exciting as the Hall of Presidents for kids (no offense Hall of Presidents.) And Impressions de France is a beautiful film (albeit a bit dated) but with it’s dull narration and soothing classical score it could easily put a child to sleep within the first three minutes. It’s been said before in recent years, but maybe if we all say it enough times it’ll come true… I want the Ratatouille ride to come to France in World Showcase! Ever since this trackless 3D dark ride opened in the summer of 2014 at Disneyland Paris I have been hoping and praying that it finds its way stateside. The ride is like the Disney version of Universal’s Amazing Spider-Man ride, combining 3D film, a motion-base ride vehicle, and physical sets into one adventure. There’s actually lots of room for a new ride in an unused expansion pad behind France, meaning it can probably be added without interfering with the pavilion’s current offerings! And the Ratatouille story holds French cooking in such high regard that I think it stands to only add to the cultural significance of the pavilion. Its message that anyone can cook has resonated with audiences. 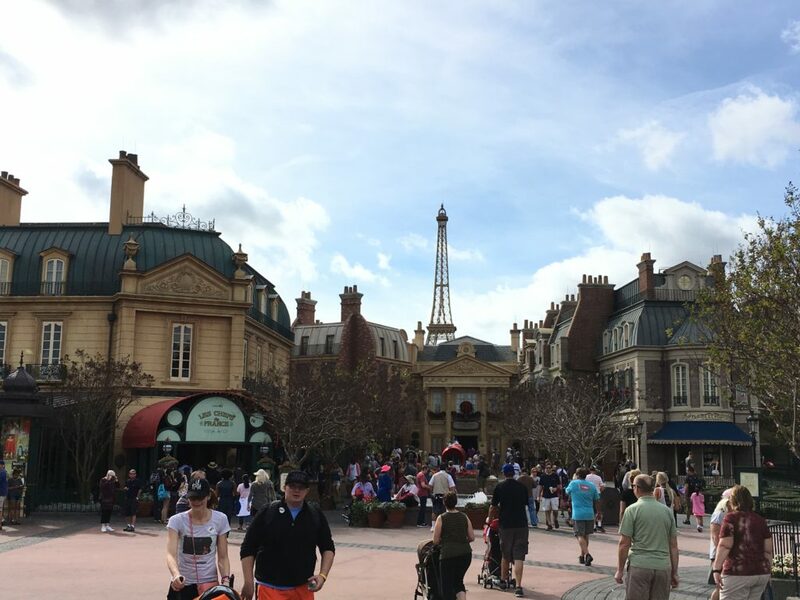 Even local visitors to Disneyland Paris have welcomed the new attraction with open arms, and it has been a huge success. If there was only one new attraction to bring to Epcot during this update, this one has my vote hands down. 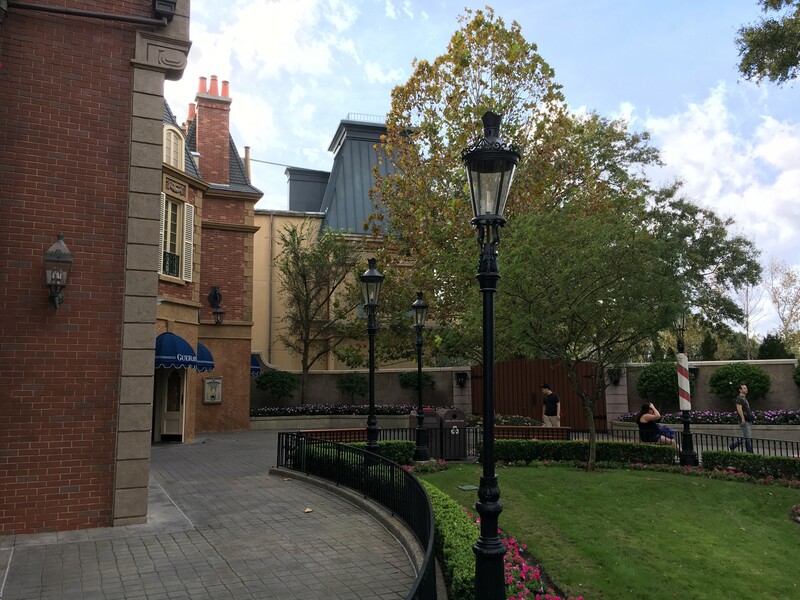 UPDATE: Ratatouille ride finally confirmed to be added to France Pavilion, and will be built in expansion plot. Learn More. Over time I wouldn’t be surprised if more attractions were to open throughout World Showcase, but there’s only so much money for this update to go around, but one more rumor I keep hearing has to do with the aforementioned Mexico pavilion. There is a Pixar film coming out this November featuring a story that revolves around the Day of the Dead celebration named “Coco.” Every blogger has mentioned this as (yet another) re-skin for the boat ride in Mexico. I’m not too sure about this one. Let’s just say we should at least see how well the film does in theaters before we evict Donald and gang just yet. Like much of the current incarnation of Epcot, the IllumiNations show has not been updated since the Millennium celebration in 1999. While it is a beautiful show, rumors that plans are being made for its replacement have been floating around for more than a decade. 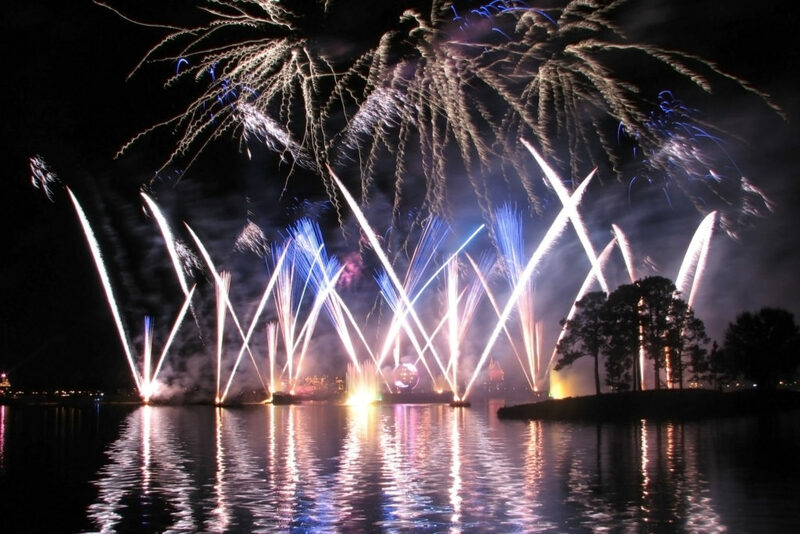 Winner of several awards for best nighttime show and a guest favorite that always packs in a decent crowd (as well as sells special seating at World Showcase’s many water-facing restaurants) I can understand the hesitance to update the program. What if a new show ends up being regarded as inferior? Maybe if its not broke don’t fix it? The latest of these new IllumiNations rumors includes the addition of drones to the show. When the current show debuted in October of 1999, the large Earth Globe covered in nearly 200,000 LEDs was a technological marvel. The show also features lasers emitted from the rooftops of several nations’ pavilions. I’ll admit the lasers are pretty cool and in 2009 the system was updated to create even more intricate designs. Incorporating drones into the show seems like the next logical step, at least from a technological standpoint. A new nighttime show during the recent holiday season at Disney Springs featured a series of constellation-like images in the sky made up of a swarm of LED equipped flying drones, with varying degrees of success. If Disney can work out the bugs with the drones I’m sure they’ll show up in IllumiNations someday, but I wonder if any of the existing elements will be removed or replaced, given their successful track record thus far. 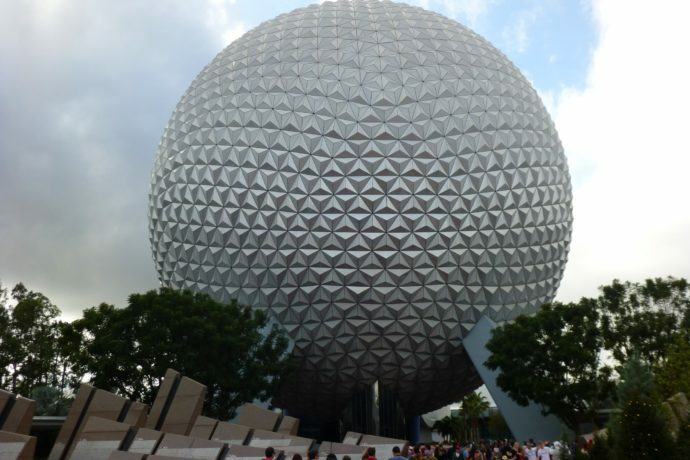 Other rumors for Epcot include a new nation pavilion added to World Showcase, but that’s a rumor that is always circulating. (Brazil is usually the first one mentioned when this discussion comes up.) If a country is interested in being represented at Epcot, it’ll be up to more than Disney to come up with the money needed for such an addition. It’s up to the nation’s government (and/or private firms) to split the bill and come to terms with Disney, so there’s always a possibility of a new country being added even without a major looming update. 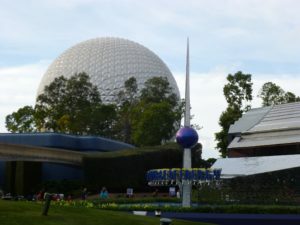 Whatever the future holds for Epcot, I’m sure fans like me will always consider it one of the best places in the world. The original vision of Epcot as an ever-changing world’s fair needs to be let go. 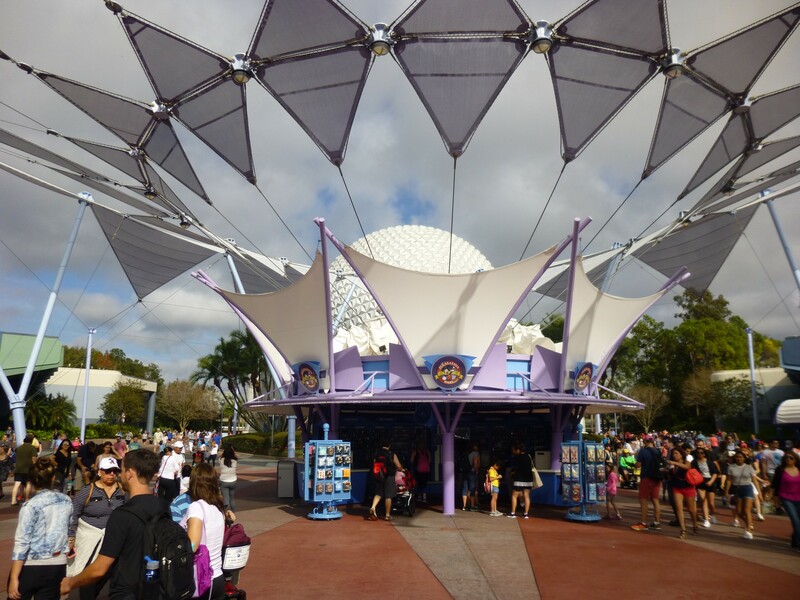 Disney should no longer rely on the sponsorship of pavilions to keep them running. Far too often throughout Epcot’s life have we seen attractions decay and close due to neglect when a sponsor drops off. If the inclusion of existing Disney properties will keep a pavilion alive or bring in a new attraction, then so be it. 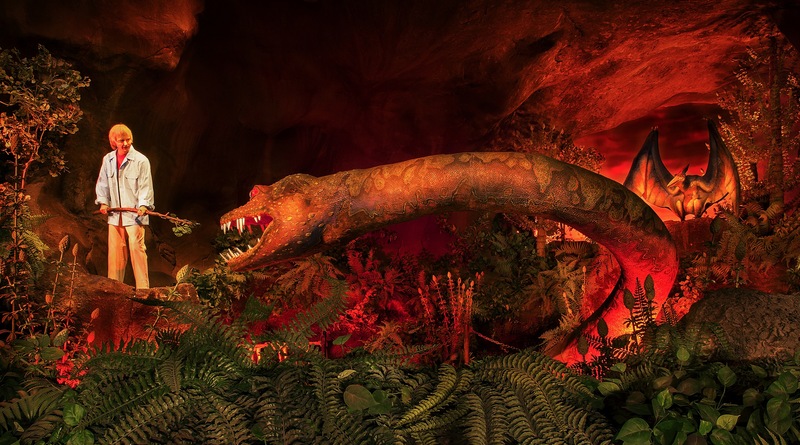 I for one would love to see more family-style dark rides come to World Showcase, but only as long as they contain something cultural significant to that nation, rather than just jamming them in for the sake of having something for kids. I think Disney would be smart to re-name Future World to something else, getting away from the word future and maybe move towards something like “Discovery.” This way it will no longer feel dated and trapped in the past, but instead be a place of ongoing adventure. 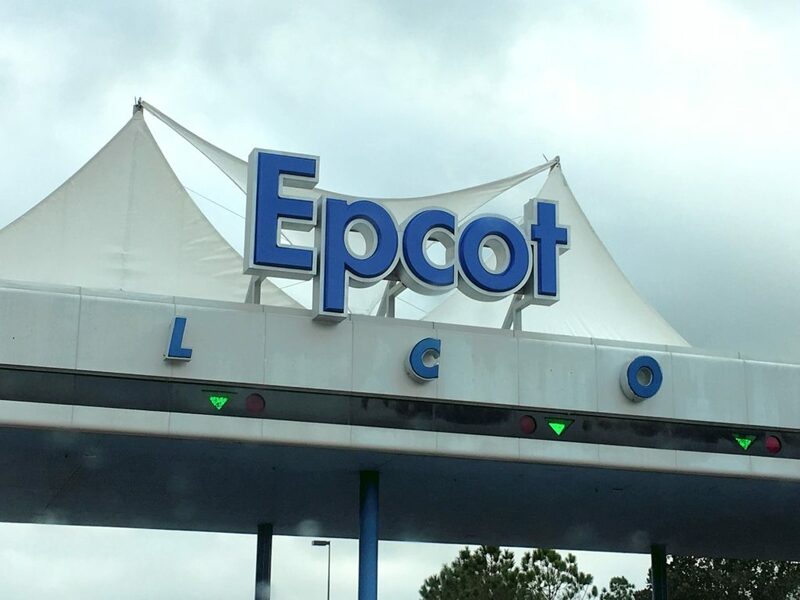 And most of all, I hope that a sense of what Epcot originally meant to us remains with the park, that it’s a place for learning, discovering, and experiencing all the wonderful aspects of our planet, and beyond… And not just waiting in line 120 minutes to meet Mickey Mouse. All original photographs by Alicia Stella, unless otherwise noted. Photo credit given in captions when necessary. Don’t forget to Subscribe to our feed for more news and updates! 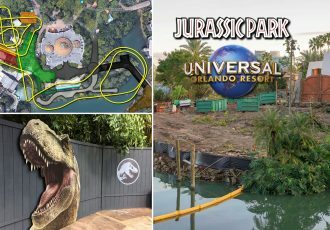 Other than the mentioned updates being greatly needed I’d like to add one that’s both deserving and would do well here or in one of the other parks. Something themed around Zootopia! Disney World can’t hide the fact it’s their second largest grossing film from Disney Animated Studios and is the second highest grossing completely original film in history. And is also a multiple award winning film. Oh yea! I would love to see Zootopia in the parks. Maybe somewhere like Animal Kingdom, or even better in the Magic Kingdom. If they do end up closing the Tomorrowland Speedway, as rumors have suggested, that’d make a great spot for a driving ride through the many lands of Zootopia. Wherever it would go, let’s hope they don’t wait as long as they did with Little Mermaid to bring it to the parks! How many agree with the statement below taken from this page, I personally disagree, basically because we purchased one of the plaques on our visit in 2000 and every time we return we are excitedly looking for it on arrival, And it starts our day off special.